So just how big was Zhuchengtyrannus? After all these posts, I’d understand if you were sick of this thing by now, but there is still (sadly for you) some more to discuss. One thing that has been left untreated until now on the blog is the size of Zhuchengtyrannus. Knowing the media would immediately want to know*, we did suggest that this was an 11 m long, 4 m tall and 6 ton animal, but really, how accurate are these? And where does that place it among other theropods? *Indeed, despite including this in our press pack, I was still regularly asked about this, and was asked for ‘real life’ examples as well. Well first off the easy stuff – we can measure the bones we do have and that gives us a 64 cm maxilla and a 78 cm dentary, though the latter would probably have been a bit longer in life. These obviously make up a significant part of the skull, but it would have been much longer when complete. As noted before, tyrannosaurines are generally pretty conservative so we can compare the sizes of these bones to their equivalents in other specimens for comparison. There are two adult Tryannosaurus specimens with maxillae just 1 and 2 cm longer than that of ZT with one having a bigger and the other a smaller dentary, so it’s immediately fair to call this about T. rex sized. However, the specimen known as ‘Sue’ is a real monster of a rex with a maxilla some 79 cm long, which is a fair bit bigger bigger. There are several Tarbosaurus specimens in the low 60s for maxilla length, with one (I can only imagine is a juvenile) at 49 and a pretty big one at 73. Several other more basal tyrannosaurid and tyrannosaurine taxa get close, but are not quite as big as ZT. Obviously we just have one specimen and it’s impossible to know if it was a big or small or very average specimen. Assuming the latter, it’s very slightly bigger than most specimens of Tarbosaurus and slightly smaller than most Tyrannosaurus ones. That means it’s basically about the same size as these two, and lying in between on average. From that of course we take our other estimates of size – while Sue is about 13m long, the others are more like 11 and so in the paper we suggest that ZT was between 10 and 12 m long (or more simply, 11 m to the press). In hindsight the 4m tall might be a bit much, but not by a huge amount, and as ever with measures like this, vary a lot with what the animal is or could do. If it stretched or tilted the head up (OK, perhaps straw grasping a bit) it would probably be over 4. So onto the mass, which is inevitably the most contentious, if only because it’s the hardest to determine. Long time readers will be aware of the huge range of masses that have been posited for all manner of dinosaurs over the years. While the ranges have been narrowing and the values converging there is still quite a lot of disagreement. Add to that the natural levels of variation between individuals and even the fluctuations of individuals (sometimes they’re fat, other times, thin) and it should be obvious that even if our calculations were 100% accurate, you would still need a range of figures for a given species and even a single individual. For an animal this size that could easily mean that a single specimen could vary by as much as a few hundred kilos and as a species perhaps the biggest and smallest were well over a ton apart or even two. As such any reasonable number is going to be ‘about’ right and with estimates for T.rex typically being around 6 tons (though up to 8 have been suggested) then 6 is a perfectly reasonable number for ZT, and though we really are extrapolating from less than half a skull, the group as a whole is conservative enough that I’d be surprised if we were much out with any of these numbers. So where does this put this critter in the pantheon of predatory theropods? Well obviously Tyrannosaurus is bigger and Tarbosaurus is pretty much the same. I don’t think anyone would argue that (in terms of length at least) that Spinosaurus, Giganotosaurus and Mapusaurus are not bigger (and here’s a good chance to link to this old image of mine). After that, well, I’m kinda out of bigger ones. While admittedly ZT is in the same position as some possible other rivals (i.e. we have enough o make a good guess but not enough to be certain) I don’t think it unreasonable to suggest that Zhuchengtyrannus sits in the all time top half dozen. Does the 73cm Tarbosaurus maxilla belong to PIN 551-1 or has a larger one ben found? If the former, it’s surprising that after all these years and scores of specimens, none have surpassed the type, found in the late ’40s. Yeah it is PIN 551. It could just be chance. Its unlikely, but sooner or later one of the holotypes someone names was going to turn out to represent a particularly large individual of the species. Hey Dave, your size comparison is very interesting. I was wondering if you can give me some thoughts on some research I did on my own. Please keep in mind I’m nothing more than the average joe whose paleontology background is reading books. 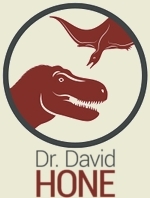 I just want to get the thoughts from a real paleontologist on what they think of my research. This research is just me gathering information from various research to come up with the possible size of UCMP 118742. I make a silly little show on youtube called Dinosaur News Center, so if you’d like, I’ll give you a link to that episode where I lay out all I can find on UCMP 118742. I’m always happy to take a look but please bear in mind I’m always very busy with lots of things going on. I’ll do what I can but I’m not familiar with the specimen at all so you probably know more about it than I do. Wouldn’t ”Tyrannotitan” be larger too? Well, I still maintain that Carcharodontosaurus was right up there, then you have the aforementioned Tyrannotitan and perhaps the new Brazilian Spinosaur… Let’s just say it’s in the top ten. Well I’m extremely suspicious of that spinosaur as it’s just a partial rostrum (they have less than we do here) and there’s no good even partially compete spinosauine skeleton to scale from, only a half complete baryonychine, so it’s really hard to say to much other than “it’s really big”. And I’ve not seen any reliable figures for Carchaodontosaurus and you have the same issues. Obviously we have very litle material, but we do at least have very good and complete tyrannosaurine reamins to scale from and that’s not ture of the spinosaurs or any of the carcharodontosaurs. They might well be bigger, but then we are deliberately slightly underestimating our possible length (we do say in the paper it might well be bigger). And as I hope to show sooner rather than later with a paper I really must get finished, there’s good reason to be incredibly suspicious of a great many estiamted dinosaurs sizes in any case. you just scored a news item on http://www.sciencedaily.com! Great work. Zhen, if memory serves, GSP, who in the old PDW gave an estimate of 12 tons based on UCMP 118742, more recently said it’s only average size. Coria and Currie said giganotosaurus is bigger than T-rex in 1997 and Coria claim the limbs are more robust, but later they both estimated the femur circumference and body mass of giganotosaurus MUCPv-CH1 is only that of MOR 555, a fairly medium to small adult T-rex. Ok, here is a video on my research into UCMP 118742. This is based on all the things I gathered from various papers and research to come up with the numbers. To everyone: PLEASE READ THE DESCRIPTION BOX. The more solid stuff is in there. I was new to video making back then and the scripting process wasn’t as good as I would have liked. The video itself was me trying to bring the stuff in the description box into light and what we actually do know about it. Please give me your thoughts on this, Dave. Woah, videos are automatically embedded here? Please watch it on youtube, because the real research data is in the description box. Oh yeah, Dave, I forgot to mention, you DON’T have to let that video get posted here. All I need is for you to see it and give me some thoughts. You don’t have to approve of that comment if you feel like clogs up you blog. I didn’t know this place automatically embeds youtube videos. That’s OK not to worry. I didn;t know WP allowed this either. Anyway, the video was fine – I think everyhting you said was reasonable. It IS tricky to scale things and there is variation (as you’ll see in the paper and as I mention above, even with very consisitent maxillae measurements, some of the dentaries are quite different in length for some specimens) so not everything scales perfectly every time. Great vid, Zhen, but I thought Giganotosaurus was pronounced Jig-a noto-saurus. And Argentinosaurus was early late Cretaceous–Cenomanian–not early Cretaceous. @Tim: the “Giga” of “Giganotosaurus” may not directly be related to the “giga” meaning 10^9, but I can imagine its pronunciation being derived from it? All the online pronunciation guides say the G in Giganotosaurus is pronounced like a J, except R. Coria, who says he and is colleagues, being spanish speakers, pronounce it like an H.
Thanks for the comments guys. And thanks for watching and giving me your 2 cent, Dave. It means a lot to me. As for the pronunciation, I’m not too worried about it. A lot of people pronounce names differently anyway, and it’s hard to keep track of which is which. I’ve heard it pronounced my way, but Jiga is the more popular one. I found that out later. And yes, I know there are a lot of little mistakes in the video. I just had a brain fart. I kept saying Poisonous rather than Venomous too. I read books and papers. That’s how I research UCMP 118742. Actually, there are no books on UCMP 118742. Did you see the table on page 116 of TYRANNOSAURUS THE TYRANT KING? According to the figures, the maxilla of FMNH PR2081 is larger than UCMP 118742 (i.e. higher and longer). Yes I did. There are 2 points to keep in mind with these things. 1. FMNH PR2081’s skull is badly deformed. The skull was originally too narrow and long, and I don’t THINK the numbers were based on the correct numbers. As I recall, FMNH PR2081’s Maxilla is also bigger than that of MOR 008 and LACM 23844, but both of these specimens have a bigger skull than FMNH PR2081. I think the number provided by Professor Hone here are the restored maxilla numbers, but maybe he can clear that up for us. 2. Even if they are correct, there’s always the problem with different proportions. Another strange thing about FMNH PR2081 is that the dentary is almost as long as the skull. The “normal” length of the dentary should be noticeably shorter. FMNH PR2081’s skull is just weird when it come to proportions. 1. Actually, neither of those specimens has a bigger skull than Sue. That of MOR 008 got inflated while restoring the missing bits, LACM 23844 has 1.39m long mandibles. Sue’s skull is indeed deformed, but I don’t think its lenght got altered to any considerable degree–at least the measurement for premaxillary-quadratojugal-lenght is consistent with how the skull when restored, ~1.45-1.5m long at maximum. 2. Sue’s dentary isn’t even close to being as long as the whole skull. Surely it is big, but tyrannosaurus crania show a lot of variation, just like those of other theropods with a sufficient sample of specimens known, none are really “normal. But we should consider that an isolated maxilla smaller than that of sue in every regard likely doesn’t provide evidence for a bigger animal. OK Zhen thanks for the info. Btw do you have any strat. data for MOR 008? I already have some for a few other specimens. Sorry, I don’t have any data on MOR 008. I thought I had it, but beyond the fact that it’s maxilla is only 90% or so the size of Sue, I got nothing. SUE’s maxilla is bigger, but the jugal bone and quadrate bone is smaller than LACM 23844, the skull of lACM 23844 is about 3~4cm longer than SUE but appears marginally 3cm narrower. This was made by a friend of mine. MOR 008’s original reconstruction with an odd step between the rostrum and the back of the skull and an odd overbite, and a version that makes it look like other Tyrannosaurus specimens. The latter is consistent with the measurements of its skull bones, which are essentially all far smaller than both sue and stan, but in the region of MOR 555 and AMNH 5027. The UCMP maxilla is also smaller than FMNH PR 2081 in every regard and shallower than MOR 555 and BHI 3033. There’s no point in creating some monster- T. rex from it.